"I said, 'Let's do a hashtag and let the world know what we do," he says. "Young Nigerians are very determined to succeed. 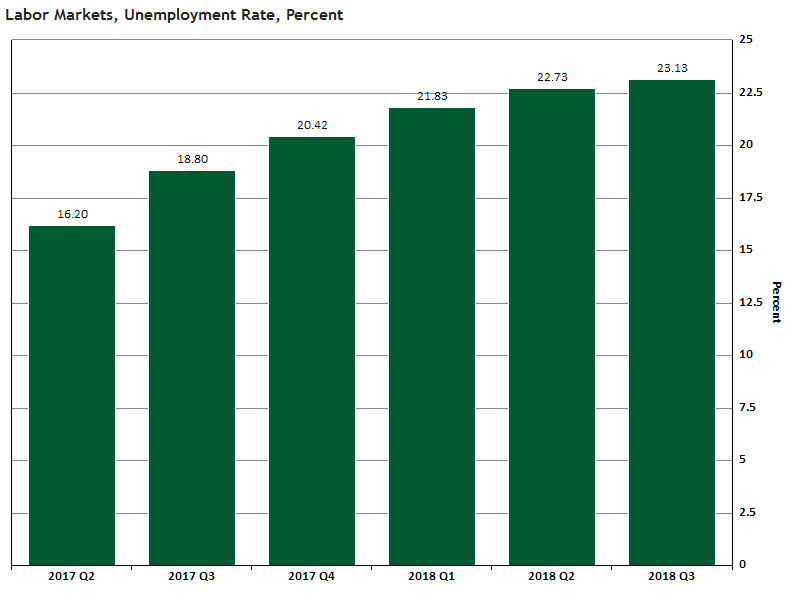 What we hear about young Nigerian people is that we are lazy. But we are hardworking. We want to make it." 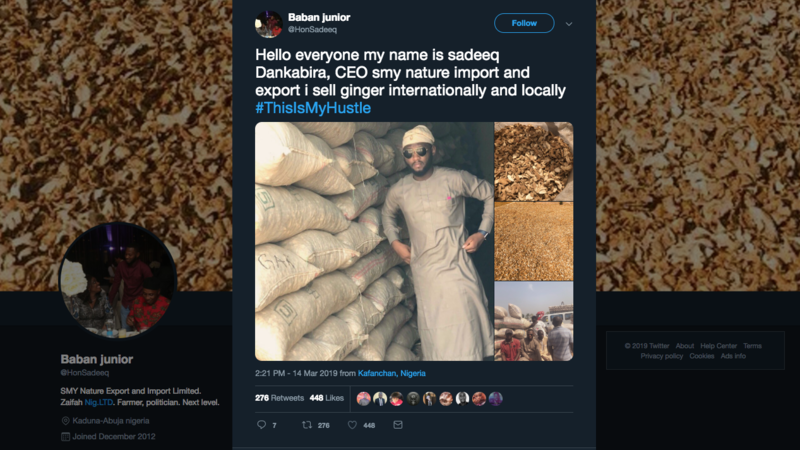 The hashtag has garnered the praise of Bashir Ahmed, the personal assistant of President Muhammadu Buhari, who wrote on Twitter: "Spent over an hour reading every tweet under #ThisIsMyHustle hashtag, every single tweet made me happy genuinely ... I am super proud of you all." Abubakar knows what that's like. He graduated from Leeds University in the U.K. in 2013 with an MBA, but says he has not been able to find a white-collar job in his homeland. So he decided to start his own company. In 2014, he launched Beta Business Forum, which helps small business owners with marketing and sales. He's also earning money as a real estate agent and a farmer. And he plants cash crops like sorghum and corn. "Young people [in Africa] face particular barriers that often lead to skepticism about farming as a viable future," wrote Kanayo F. Nwanze, president of the International Fund for Agricultural Development, in a piece for the organization's website. "Youth and other marginalized groups do not see farming as a business, as an economic enterprise." Abubakar says he's received a lot of positive feedback over the last few days from business owners who have been tweeting on the hashtag. "They're telling me that they have been getting more clients," he says. Kabir says that his post has brought in some business, too. After he posted his tweet, he says, "my life has never been the same. I got buyers around the world, like Canada, Dubai, even North America."